Rare Aircraft – Gear… Up? 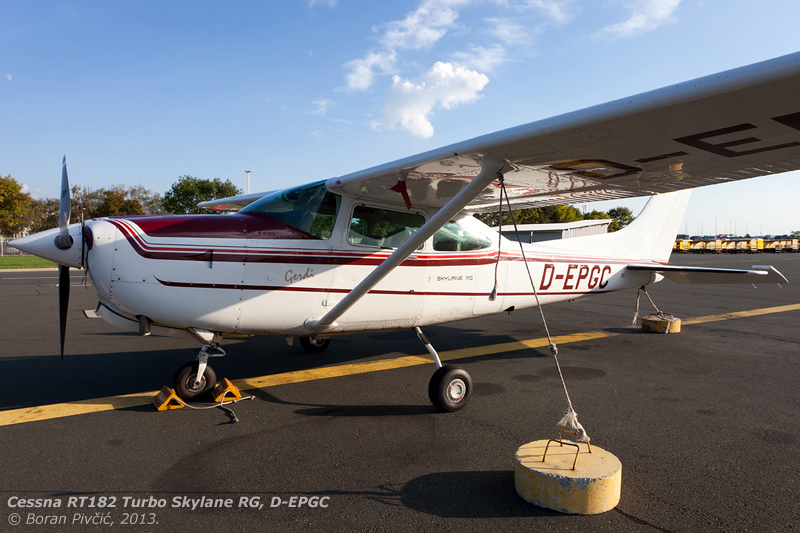 Cessna’s Small Retractables | Achtung, Skyhawk! While the notion of fitting a civilian piston single with retractable gear isn’t exactly new – having been around as long as the retractable gear itself – in the “certified world” it still lends itself mostly just to large and luxurious long-distance tourers, aircraft whose intended performance bracket (and price tag) warrant the addition of another heavy, complicated, expensive and potentially failure-prone system. Aircraft such as the stunning Beech Staggerwing (which had pretty much kicked the whole idea off) and its spiritual successor, the Bonanza, as well as Piper’s PA-46 Malibu line and Cessna’s widespread Centurions… all top-of-the-line cruisers where clean lines and low drag are not just a sales gimmick, but a real performance necessity 🙂 . However, while it did say “Cessna 172” on the back, the Cutlass RG was some way removed from a stock Skyhawk with new legs. Like all high performance 172s – including the Reims Rocket, the Hawk XP and the military T-41 Mescalero – the Cutlass was actually derived from the old 175 Skylark, a posh, high-end version of the late 50s 172A. Powered by a geared GO-300 producing 175 HP (versus the 145 of the 172A) and fitted with a full suite of cockpit and cabin amenities, the Skylark had enjoyed only a brief sales career, having been plagued every step of the way by its frequent engine failures (later determined to have been caused by its owners’ lack of familiarity with the finer nuances of operating geared engines). To try and salvage the situation – not to mention the effort invested – Cessna had eventually decided to drop the Skylark and instead use its platform as a springboard for future high performance aircraft to be marketed under the 172 name 🙂 (to add to the confusion, the name “Cutlass” would also be applied to the 172Q, essentially a 172P re-engined with a 180 HP engine and intended to invoke the (perceived) allure of the RG). Even though many visual cues of this heritage were blurred out by the time of its debut, the 172RG had nevertheless easily stuck out among the regular Skyhawks, sporting a longer nose that had – in addition to the nose gear when retracted – housed a 180 HP Lycoming O-360 spinning a constant speed prop (usually two-blade). There were changes up in the wing as well, where the fuel capacity was increased from 43 to 66 US gallons, nearly doubling the range to 770 NM from the 172P’s 440. But, all was not so sunny elsewhere – for despite its cleaner lines, additional power and the efficiency of that prop, the RG could pull out only a 15 knot lead over the 172P. Additionally, the takeoff and landing performance had suffered as well, with the Cutlass needing up to 200 feet more space to lift off or roll to a stop. The main culprit for all of this was the added bulk of the RG system, which had increased the aircraft’s empty weight to 740 kg – 80 up from the 172P. While this was counteracted by the RG’s 110 kg MTOW increase, all that extra mass had eroded most of the advantages of the new engine and prop, resulting in only a marginally faster – but far more expensive – aircraft. By contrast, the second of the two titular aircraft had lead a reasonably quiet life throughout its career, having come about through a straightforward and positively dull design process that had exhibited none of the delightful chaos of the Cutlass 😀 . The machine in question is of course the R182 Skylane RG, one of the lesser known – but also most capable – members of the enduring Skylane family 🙂 . A simple, straight, no-nonsense conversion of the regular 182, the Skylane RG was intended to provide some of the allure and performance of the more exclusive Centurion, but packed into a smaller and cheaper package – a train of thought not unlike that which had borne the Cutlass. However, unlike the latter, the basic Skylane was a much better platform to start from, in part due to its remarkable payload – but mostly due to its capacity to handle a whopping big engine needed to shift the added bulk around 🙂 . However, while the power figures were a bit of a letdown, the torque figures were not, since those 235 HP came from a huge Lycoming O-540, sporting 80 cubic inches more capacity that the O-470 of the regular model 🙂 . Coupled with an empty weight increase of just 38 kg (and the same MTOW), this additional grunt had meant the RG could comfortably outpace the regular model in the climb, all while retaining nearly identical takeoff and landing performance and stall and approach speeds. The apex of the R182 would however come in 1978 with the introduction of the turbocharged RT182, which will eventually become the dominant Skylane RG model. While its sea level power had remained the same as that of the R182, its massive compressor had made it available to a far higher altitude, consequently increasing the cruise speed to a juicy 173 knots – 31 more than the regular 182Q and 16 more than its (very rare) turbocharged cousin, the T182Q. Coupled with a 585 kg payload – enough to take on four adults and sufficient fuel even for a longer flight – this had made the RT182 an attractive choice for pilots living at higher altitudes, with most of Europe’s fleets nowadays concentrated in countries with a lot of Alps 🙂 . 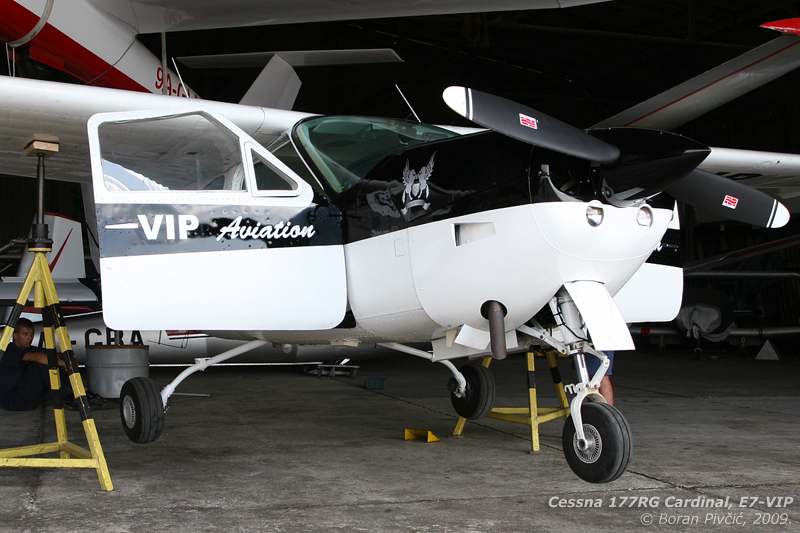 While the 172RG and R182 were the main focus of this post, one cannot discuss Cessna’s small retractables without at least mentioning the elegant – and slightly outrageous – 177RG Cardinal RG 🙂 . A rare moment of madness from Cessna, the 177 family as a whole sticks out of the lineup like Lancair at an Antonov meet, making it fully worthy of the final chapter of this post 🙂 . Named for the bird rather than the church official, the fixed-gear 177 was originally devised as a mid-60s replacement for the 172, introducing features that were supposed to make the Skyhawk look “sooo yesterday” 😀 . By far and away the biggest of these was the beautiful Centurion-style wing, which finally did away with those pesky bracing struts (an absolute nightmare for inflight photography!). Once past the wings, the eye would immediately be drawn to the broad and airy cabin, flanked on either side by large, wide-opening doors that made entry almost completely hassle free – and, perhaps most important of all, far more dignified than on the 172 😀 . 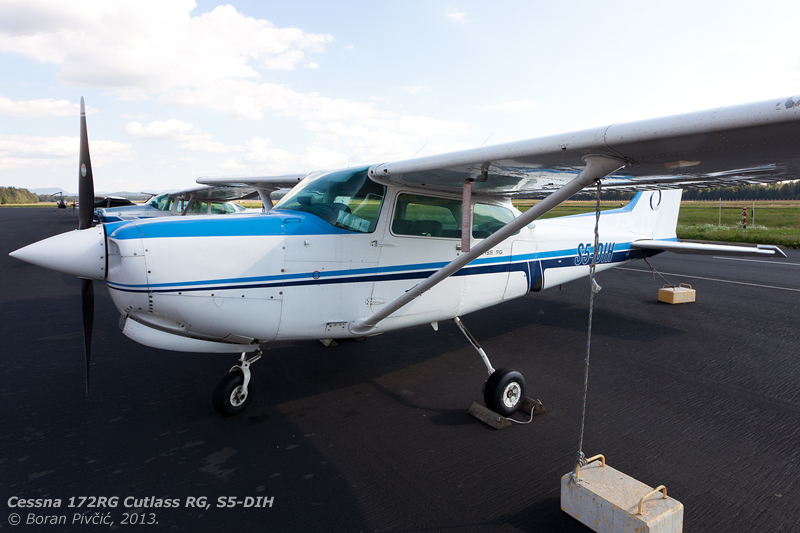 There were some finer, less obvious touches as well, including an “all-flying” Piper-like horizontal stabilizer – quite the novelty for a Cessna single and I believe still unique in the company’s piston lineup. But despite the new wing (which required more internal structure to maintain rigidity) and the roomier cabin, the 177 was only a feather away from the 172s of the period, weighing in at just 640 kg empty and 1066 kg fully loaded – just 45 and 23 more than the 172K. Powered by the same 150 HP engine, the Cardinal had also exhibited very similar performance, with differences generally down to just two to three knots. However, while it did indeed sound like a worthy replacement, the 177’s bells and whistles had also made it significantly more expensive to buy than the 172, instantly diminishing its customer appeal and threatening to turn it into another Skylark – expensive to develop, but nearly impossible to sell in the necessary numbers. But the lessons learned with the 175 would eventually turn out to be the keys to the Cardinal’s survival 🙂 . Realizing that, despite all intents, the 177 is “more aircraft” than the 172 (but still far less than the 182), Cessna had decided to simply slot in a more powerful engine, creating a proper “Skyhawk Deluxe”. The resulting 177A was thus powered by a 180 HP engine driving a fixed-pitch prop, which had managed to increase the cruise speed by just a modest three knots – but had at the same time kicked the MTOW up to 1133 kg (with just an 11 kg empty weight increase), allowing the aircraft to now carry full tanks AND four (period) adults with some meaningful baggage. In this form – which would later evolve into the 177B fitted with a constant speed prop – the Cardinal had finally found its niche in life, becoming what the Skylark was supposed to have been all along: an aircraft that could boast some of the carrying capabilities of the Skylane mated with operating costs much nearer to those of the Skyhawk. However, this had immediately brought it into firing range of Beech’s model 24 Sierra and Piper’s PA-28R Arrow, both of which could boast the additional (real and perceived) benefits of retractable gear. Cessna’s answer was not long in coming, taking the form of the 1971 177RG Cardinal RG 🙂 . Powered now by a 200 HP engine – like the Sierra and Arrow – the Cardinal RG could boast a cruise speed of 149 knots, 19 more than the 177B and up to 10 more than either of its rivals. Interestingly, unlike the 172RG, the Cardinal had retained its impressive carrying capability despite the added weight of the RG system, standing at 800 kg empty and 1270 full – actually increasing the payload by 80 kg over the 177B along the way.